Modern and unique, this sleek and fitted swimming pool was custom designed to fit into a small patio space and is situated right on the Jersey beach. It is a hidden private space for the homeowner to enjoy. 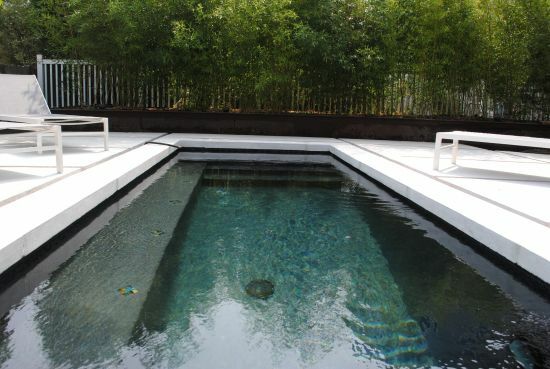 This residential swimming pool features sleek and clean designs. The traditional shape was built to fit into the limited patio space.